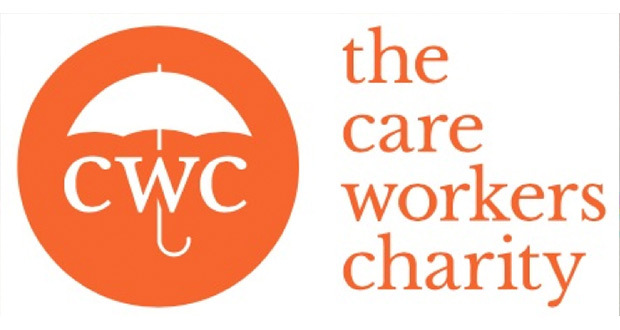 The Care Workers Charity (CWC) has announced the winners of the CWC Awards 2018. The Awards were introduced to acknowledge and reward the exceptional contributions of some of its most dedicated supporters; people whose help might otherwise go unrecognised. Best fundraising campaign was awarded to Avery Healthcare’s Angus Matthew. Avery’s summer cocktail parties, held as part of the CWC’s ‘Going the Extra Mile’ fundraising campaign welcomed family, friends and the local community, raising £3,420.81 for the charity. Sean and Jo Gavin of Hartford Care were recognised as the winners in the Best Fundraising Event category. The abseil challenge at the Emirates Spinnaker Tower and other fundraising events held by Hartford Care raised the remarkable amount of £13,967 in 2018. Outstanding Contribution to CWC went to Mark Danis of Avery Healthcare. Mark was recognised for generously supporting the charity’s team over the last year and being the driving force behind the Going the Extra Mile fundraising campaign. He is entering his second year of supporting the events’ committee and has provided a range of support and advice through his role as Vice President of the charity. Max Wurr was recognised as the Best Individual Fundraiser. Max ran the Harrow Half Marathon in aid of The Care Workers Charity in 2018. He completed the run in 1 hour 49 minutes coming 207th out of 600, raising an impressive £780.20. Going the Extra Mile – this award went to Mandy Jackson from Athena Health Care. Mandy has gone above and beyond for The Care Workers Charity in 2018, becoming one of our most engaged supporters and ambassadors to date. Lauren Harris and her son Kallen also received CWC’s Going the Extra Mile award. Lauren has been an outstanding ambassador for the Care Workers Charity this year, tirelessly supporting and advocating for CWC. Both Lauren and Kallen appeared in a CWC video case study, and Lauren also attended our CWC Champion conference in Reading where she generously shared her experience with the Champions. The third recipient of the Going the Extra Mile award was Kieran Hogan of Hartford Care. Kieran has been an exceptional supporter of the charity this year, hosting a number of events in aid of CWC as a Champion. Kieran now sits on the CWC Board of Trustees where his in-depth understanding of the issues care workers face helps guide the charity’s strategy. Cathy Worman and Angela Smith from Belmont Sandbanks were each recognised with the Champion of the Year award. Angela and Cathy have been outstanding in their support of The Care Workers Charity, both attending the Reading Champion conference and providing a great insight of their experience of being Champions. Cathy and Angela have also put on a number of events to raise funds for CWC in 2018. Best Care Group Engagement Campaign award went to Nicki Westwood and Saf Tai at Grosvenor Health and Social Care for all their efforts raising awareness of the charity and helping CWC grow its volunteer Champions programme. The winners were invited to celebrate their achievements together at a traditional afternoon tea reception held at The Ned in Central London. The event was hosted by Richard Muncaster, CEO of The Care Workers Charity, its Head of Partnerships Alex Ramamurthy and Ben Allen, the Chairman of CWC and CEO of Oomph Wellness. “I warmly congratulate all of the winners. Your dedication and commitment in helping CWC grow and be heard doesn’t just produce fantastic results, it changes lives” said Richard Muncaster. This article first appeared on Care England.